Compiled By: J.W. Duckworth, R.E. Salter, K. Khounboline, et al. (2) Books like these help us to have a record of what exists in Laos. (3) It’s great to be able to have a resource that has the official names of the animals that we often only know the Lao name for. You can buy it in its printed version as there are still occasional copies of it floating around however what’s great is that they’ve made it available for free download in pdf format. The organization that did the research and who published it, International Union for Conservation of Nature (IUCN), is an international non-government organization (iNGO) that focuses on nature research, animals and plants and their preservation. IUCN in Laos continues to do amazing work and research into Lao flora and fauna. The original writer/researcher was R.E. 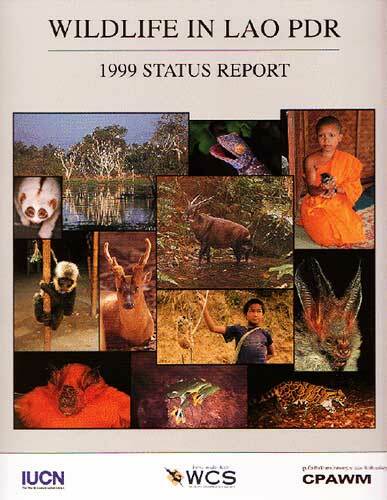 Salter and that original version was published in 1993 under the title Wildlife in Lao PDR: A Status Report, with a total of 98 pages. It was considered one of the first comprehensive studies on animals in Laos. However its primary purpose was more of a research document. Research continued and compilation of further data was done. What was once a 98 page document became a book of over 275 pages. Thus it was updated and re-released in 1999. Funding for research and publishing came from the German Federal Ministry of Economic Cooperation and Development (BMZ). The additional contributions were from a long list of IUCN writers/researchers as well as those from the World Wildlife Fund (WWF) and World Conservation Society (WCS). This 1999 version is the most current version that’s available for download. Some may still argue that it remains quite a comprehensive book of animals in Laos even after all this time. I would suggest however that this book really should be updated. Additionally, a section on aquatic animals such as fish and also the inclusion of all the new species that have been discovered in Laos in recent years would also be wonderful. One would hope that the work of researching and cataloguing all the different animals in Laos will continue and hopefully be added to this book or perhaps separately published.